1- Justice is the no.1 value among the Quranic higher values of Islam, for which God has sent His celestial message conveyed by His messengers, and without justice, violence and taking arms (i.e., iron) takes place as per the following verse: "We sent Our messengers with the clear proofs, and We sent down with them the Book and the Balance, that humanity may uphold justice. And We sent down iron, in which is violent force, and benefits for humanity...." (57:25). Many Quranic verses command human beings to uphold justice and to avoid injustice, such as the following verse: "God commands justice, and goodness, and generosity towards relatives. And He forbids immorality, and injustice, and oppression. He advises you, so that you may take heed." (16:90). 2- In Egypt, whose leaders and clergy wrongly claim they adhere to Islam, we bear witness that judges there apply injustice instead of justice, though they sit while above them is written this verse: "...And when you judge between people, judge with justice..." (4:58). 3- In the USA, the motto raised in (And justice for all), and justice is applied actually, and we bear witness to that. Let us below write our testimony about justice of judicial authority in Egypt and the USA. 1- We never entered a police station to file a complaint or even as a defendant against whom someone had filed a complaint. Yet, we were incarcerated as a writer acing religious extremism using the Quran and developing the vision of Quranism, seeking peaceful reform. In the first wave of arrest against Quranists in Cairo in 1987, we have been arrested along with our fellow Quranists, and State Security Apparatus in Egypt called us for the first time as ''Quranists'' an appellation that never existed before but later on adopted by us. Our persecution began since May 1985, when we underwent inquisition-like interrogation at Al-Azhar University, where we worked as a professor, to punish us for authoring five books, and the judges in such a trial were our intellectual foes. Laws entailed that a non-Azharite chancellor of law must attend to form a balance for the sake of defendant (i.e., ourselves). 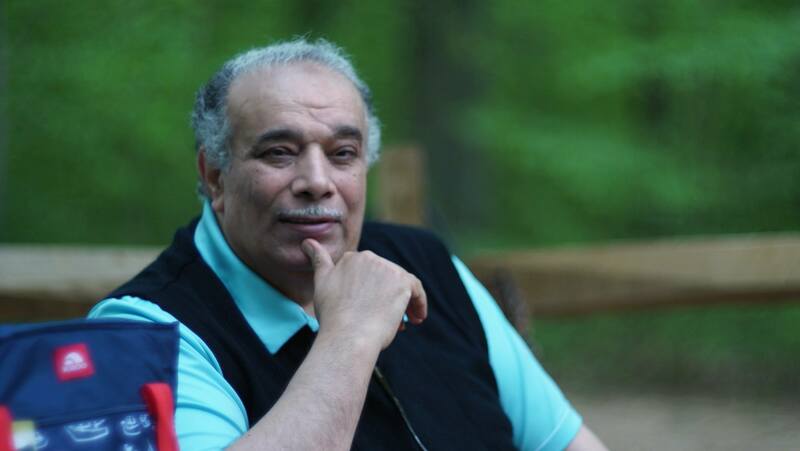 Sadly, this chancellor, Tharwat Badawi, from the State Council Court, Cairo, Egypt, came to play this role, but he did not adhere to justice; he was biased against us, though we are an author who applied the Law of Al-Azhar that entails people working in it to elucidate and clarify facts of Islam, and we have done this using the Quran alone. This Sunnite Wahabi chancellor treated us harshly as if we were a criminal and as if he wanted to show how faithful to Wahabism he was more than Azharite staff at the university! We refused later on to attend sessions of such a masquerade, and we tendered our resignation with reasons included in it, especially that they threatened to fire us, as the biggest form of punishment they could exact on us. Yet, they refused to accept our resignation so that we would remain without work and without money as our financial dues were confiscated. Tharwat Badawi witnessed all this and he never stood by our side to achieve justice; we had to sue Al-Azhar University to force people there to accept our resignation, and yet, the judge (who was a Copt but the loyal agent subservient to Al-Azhar) Edouard Al-Dhahaby postponed the court ruling/verdict many times until he finally issued it and our resignation was accepted. 2- When we worked within media, journalism, and human rights societies from 1989 to 2001, accusations were leveled against us that we were 'heretic', 'infidel', 'apostate', and an 'enemy' of Islam and Muhammad. Such accusations were leveled by most formal high-rank governmental officials and renowned people in Egypt among media figures and clergymen, and our assassination was alluded implicitly and sometimes explicitly. When some people advised us to sue such people in court, as such cases would be won easily, we replied sarcastically in truth that they might incarcerate us among terrorists in one prison cell to allow them to mill us; we have nothing but to wait patiently. When the second wave of arrest of Quranists began in 2001, we fled to the USA (the country of freedom and human dignity) one day before the intended incarceration of our person. 3- When we worked within media, journalism, and human rights societies from 1989 to 2001, State Security Apparatus men used to watch closely over us 24/7, and we felt they would incarcerate us anytime. Our apartment was in the first floor in a residence building in the low-class Cairene district called "Al-Matariyya", a hotbed of Salafists and terrorists groups who were eager to massacre Quranists. A police car was positioned before our door, watching over any visitors who came to us, and a police agent watched over us 24/7. Because such apartment was small, our wife bought another bigger one in a nearby residence building in the same Cairene district, and the old apartment became our office where I worked most of the day and part of the night on a daily basis. The owner of the residence building we moved to, named Madbouly, was a swindler who used to sell one apartment to many persons before giving it to one buyer; we spoiled his swindling plans by moving into the new apartment within hours of buying it; he could not sell it to others. this swindling man was sentenced to tens of years of incarceration, and he evaded such verdicts and was never incarcerated at the time! Moreover, the police station of Al-Matariyya used to protect him! it was funny to see policemen who were watching over us chatting and eating with this swindler Madbouly in a friendly atmosphere, though he was wanted by justice! When we knew that we were about to get arrested in Oct. 2001, we managed to evade policemen who were smoking hash with Madbouly (! ), and went to the airport to catch my plane to the USA. 4- In 2007, within the third wave of incarceration of Quranists in Egypt, policemen broke into our apartment and arrested some of our relatives who resided there momentarily to sit for university exams, while searching and destroying our papers, books, and bookshelves, and then left the apartment to drown in water. Madbouly seized the chance that our relatives feared to get near the apartment; he forged a contract claiming that our wife sold it to him! he stationed himself inside the apartment until he sold it to one of his henchmen, who re-sold it to another person. The policemen in Egypt never interfered and justice was never applied, as the typical case in Egypt. 5- When we wrote articles on our website to defend our innocent incarcerated relatives in 2007, who were interrogated under duress about Quranism and how they prayed etc. and who were tortured in prison cells, A TV anchor in an Egyptian satellite channel (namely Wael Al-Ebrashy, in Dream TV) hosted some of our relatives and our late mother (God bless her soul), as she wept over her son in exile (ourselves) and another son in prison. Al-Ebrashy then hosted a forum in two episodes between us (via video conference) ad agents of the State Security Apparatus, and when we spoke vociferously about the innocent ones who were incarcerated for no reason among our relatives, a decree was issued in absentia to accuse us and our nephew Dr. Othman M. Ali of contempt of religion and never to be allowed to return to Egypt for even short visit. The policemen in Egypt never interfered and justice was never applied, as the typical case in Egypt. apart from local journals and tens of websites and TV channels. We were called to be an expert witness, explaining to the jury members what Islam is and also what Wahabism is in light of Quran and history. Jury members did not want to confuse between Islam and this case nor to be influenced by Islamophobia spread at the time so that they judge objectively; even the prosecutor general was keen on that though he was opposed to the defendant. 2- We have attended all court sessions and saw American justice being applied within transparent measures by all people: lawyers, jury members, prosecutor general, etc. within all papers, as two sides attempted to prove the Saudi student as guilty or not guilty, while the federal judge was neutral listening attentively, and media covered all sessions. We have presented our testimony in two court sessions, explaining the difference between Islam as a monotheistic religion based on (There is no God but Allah) and on higher values (peace, justice, etc.) on the one hand, and Muslims in their human history and man-made traditions, earthly, religions, civilization etc. and hoe the earthly, fabricated, man-made Sunnite religion is the root of Wahabis that spread terrorism now and how Wahabism spread in recent decades because of certain financial, economic, and political factors, while imposing itself as if it were Islam, though it contradicts Islam (i.e., Quranism). We said also that after we reviewed evidence concerning the defendant, we witness that he is a Wahabi. We have been then interrogated by the lawyer of the defendant who hurled an avalanche of questions at us, based on queries posed by the defendant himself, including queries about our Quranism, prayers, Azharite negative view of our person, being accused of apostasy and as an enemy of Islam during our stay in Egypt, etc. the case ended in a deal to deport the defendant with his family to Riyadh. 4- Within the court sessions, the assistant of the prosecutor general asked us to review translations of the documents recorded by the FBI of words of the defendant to make sure everything is translated accurate from Arabic into English; because none of them knew about Sunnite terms, we have found grave errors and corrected and revised their translation in written documents and in recorded oral interrogations with the defendant. But their translation was honest indeed, no word was ever omitted or overlooked, and we heard serious talks of the defendant who had relations with suspected Saudi figures, proving that his family hated and desired to harm the USA, the country that hosting them, he records included a woman calling another woman in 9/11 to express happiness because of the terrorist attacks, while she celebrated the 9/11 attacks by fixing a small American flag on her slippers in glee! She cursed the USA and invoked God to destroy it! When we asked the prosecutor general about such words, he told us that such words have nothing to do with the case; this is relate d to freedom of expression allowed in the USA. We feel very sorry for Egypt and for justice lost in it!